Eagles defensive tackle Haloti Ngata (94) has announced his retirement. 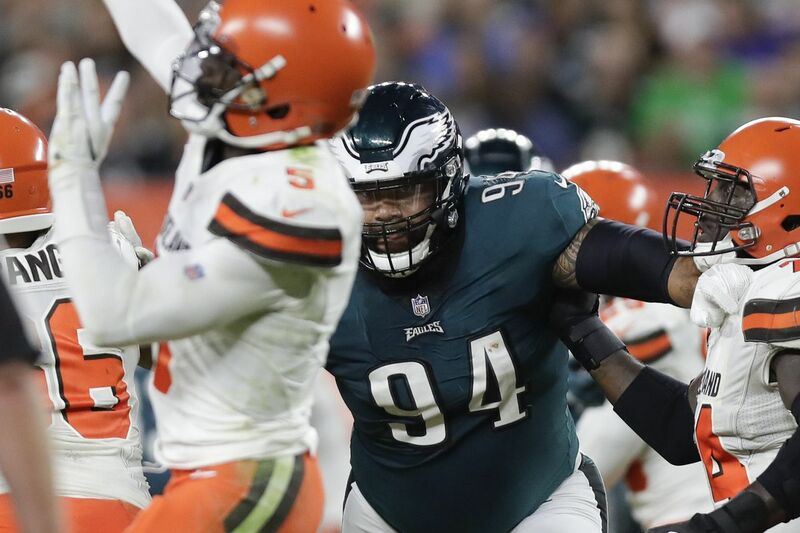 Haloti Ngata is retiring from the NFL after 13 seasons, including 2018 with the Eagles. The defensive tackle announced the decision Monday morning in an Instagram post that included images from his recent climb of Mount Kilimanjaro. Ngata 35, was one of the top defensive linemen of the past decade. He went to five Pro Bowls, was a three-time All-Pro, and won a Super Bowl with the Ravens. His best years came in Baltimore before he finished his career with the Lions and the Eagles. Ngata took on a larger role with the Eagles last season because of Tim Jernigan’s injury. Although he missed three games, Ngata started in nine and played 36 percent of the Eagles’ defensive snaps. He finished with 17 tackles, one sack, and one forced fumble. The Eagles signed Malik Jackson last week to pair with Fletcher Cox and will likely add a defensive tackle in the draft. They also have Treyvon Hester and Bruce Hector returning from last season.